Tata Motors is gearing up for 'Turnaround 2.0' to make its passenger vehicles (PV) financially self sustainable, buoyed by the success of its commercial vehicles (CV) in the last financial year, ended March 31. Addressing employees at annual townhall, the company's MD and CEO Guenter Butschek said that under Turnaround 2.0, Tata Motors' effort would be to enable its PV business to "fund for itself for future and also help in taking us much beyond the aspirations of being the No 3 in domestic market". The company's Chairman N Chandrasekaran expressed confidence that Tata Motors would be able to achieve its ambitions for the new financial year, 2018-19, which kicked off on Sunday. "The expectations on this company are very high. If you look at the market cap of TML Group, actually there is no value which is accorded to the Tata Motors domestic business, and I am very confident that will change this year," he said. Chandrasekaran further said, "Last year, if I said something positive I was saying it with hope, but this year I am saying all these positive statements not with hope but with confidence." 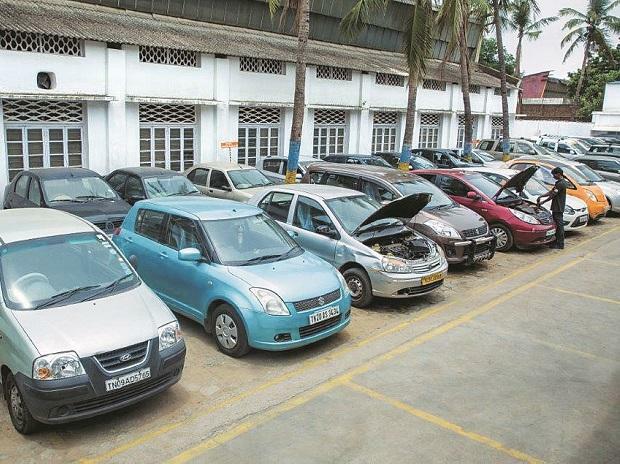 Last August, addressing shareholders, Chandrasekaran had elaborated on the challenges faced by the company's domestic business, especially the CV segment, stating that Tata Motors lost market share -- down to 44.4 per cent in March 2017 from a high of nearly 60 per cent five years back. 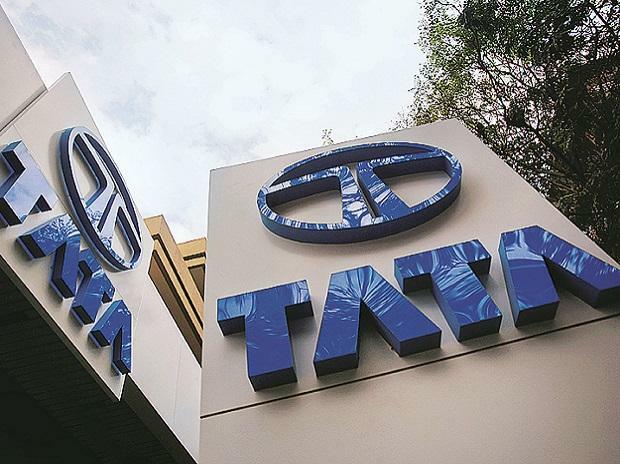 He had further pointed out that in 2016-17 Tata Motors standalone gross revenues was at Rs 491 billion, up 3.6 per cent from the previous year but the loss after tax, on a standalone basis, was Rs 24.80 billion compared to Rs 620 million in the previous year. Last year, Tata Motors announced its turnaround plan for its domestic business with a special focus on the ailing commercial vehicles business. It shifted focus to 'Turnaround' from its earlier strategy of 'Transformation'. Subsequently, in 2017-18, the company has been able to improve its sales significantly. "We ended the the year on a high with an impressive performance of 23 per cent cumulative growth year-on-year," Butschek said in his address to employees in Pune. The company's cumulative domestic sales of CV and PV segments for FY18 were 5,86,639 units compared to 4,78,362 units in FY17, a growth of 23 per cent. "However...the turnaround is not over yet. Not when we still have to meet our Board's expectations, our Chairman's vision, our own targets and our deserving pace in the consumer's mind space," Butschek said. He further said that with the momentum achieved last year, there was a "great sense of urgency" as a strong foundation has been laid for the company to become "more effective, nimble and agile". "It is time for us to again change the gears and move one level higher as we move to Turnaround 2.0... Last year we effectively delivered in the CV domestic (segment). While we continue to remain focussed on CV, we need to push hard for a similar turnaround in PV," Butschek said. Elaborating further, he said: "It is important for PV to become financially self sustainable. We need to prove that investing in PV is the right value proposition. This will enable the business to fund for itself for the future and also help in taking us much beyond the aspirations of being the No 3 in domestic market." Under Turnaround 2.0, Butschek said, Tata Motors would continue working towards "higher objectives, cost reduction initiatives, timely product launches and yielding better results". "The turnaround will enhance organisation's effectiveness enabling greater speed, simplicity and agility in our efforts. To sum up, our FY19 business plans will continue to remain extremely demanding with stretched targets, in terms of sales/market share and financial performance," he added.